Soluble in DMSO (25mg/ml) or ethanol (10mg/ml). Insoluble in water. 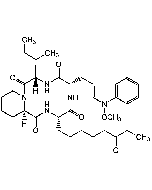 Potent non-hydroxamate HDAC inhibitor (HDACi) (IC50: 32, 48 and 41nM for HDAC4, HDAC1 and HDAC6, respectively). Cell permeable prodrug that is intracellularly converted to the potent HDAC inhibitor NCH 31. Predicted to exhibit a similar HDAC binding mode as that of SAHA, interacting with the active-site zinc targeting group. Shown to exhibit comparable antiproliferative and apoptotic activity as SAHA against various cancer cell lines. 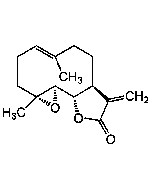 Inhibits growth of various cancer cells in vitro (EC50=1.1 - 9.1μM). Reactivates latent HIV-1 gene expression. Active against selected neurodevelopmental disorders.